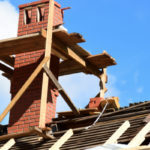 Tuck Pointing, Brick and Chimney Repair Toronto | Turnbull Masonry Ltd > Blog > Blog > How Much Should It Cost To Install A Brick Wall? The cost to install a brick wall varies drastically depending on the extent of the project at hand. Mitigating factors may include how big you want your brick wall to be, or how difficult of a location you plan to build the wall. 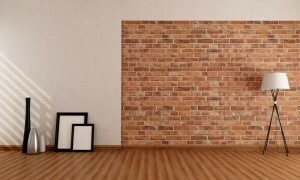 According to industry averages, people spend anywhere from $4,000 to $20,000 installing a brick wall. More commonly people spend somewhere in the middle, ranging between $7,000 and $8,600 for a substantial brick wall. Some brick walls are far more extensive than others. Knowing ahead of time what you need and don’t need will help you stick to a reasonable budget and still achieve the results you are seeking. Brick, stone and concrete block are popular masonry materials due to their durable quality and nice outer appearance. A wall made of brick can serve as privacy and a noise shield from neighbors or street traffic. Brick walls can also prevent mudslides and other related accidents from happening. Brick walls are often built to create a raised flowerbed or enclose a garden. The possibilities are endless when it comes to creating a brick wall for your yard, but how much can you expect to spend on the brick wall of your dreams? 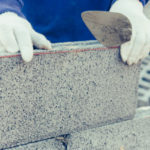 There are a couple of factors to consider that contribute to the overall cost of a brick wall, including labor and materials. 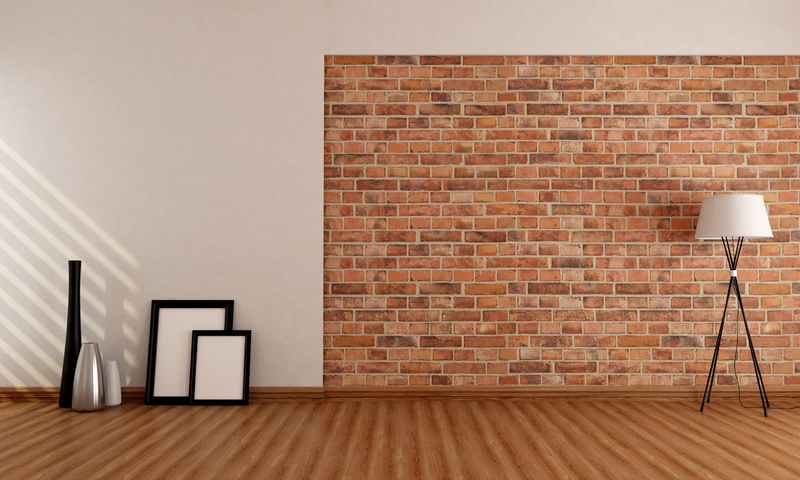 The overall cost of your brick wall will vary considerably depending upon the materials you use to construct it. Brick can be an affordable option, but there are different types of bricks. Hollow bricks cost between $23 and $29 per square foot, while traditional brick costs closer to $14 per square foot. Hollow bricks are going to cost about double per square foot compared to traditional bricks. Hollow bricks are made of a durable outer shell with a hollow center. If you are building a smaller brick wall, traditional bricks may work just fine. If you are constructing a larger wall, hollow bricks may be recommended for their added stability and reinforcement. Hollow bricks make it very easy to insert steel bars throughout the inside of the bricks in order to reinforce the stability of a wall. Labor costs are an additional expense that must be factored into the overall budget for a brick wall. Hourly charges may vary depending on the extent of a project, as well as whom you hire for the job. Most companies will provide an estimate for brick wall labor so that you know exactly what to expect before construction ever starts or the final bill arrives. Do You Need To Hire A Professional To Build A Brick Wall? It’s not uncommon for people to assume they can construct their own brick wall and save money on labor expenses. The thing is, building a brick wall is a specialized talent that requires experience, and background knowledge. When building a brick wall there are a number of things that can go wrong. Turning a brick wall into a DIY project can take a lot of unexpected time and effort. For one, you will have to source and prepare all of your own materials, which is rather time consuming and requires a special set of tools. Tools and equipment can quickly add up in cost, pair this with the time it takes to build your own wall and you aren’t saving much money—if any. The engineering behind a brick wall is also important. If a wall is built too tall, too thin, or otherwise incorrectly the overall stability may be negated. 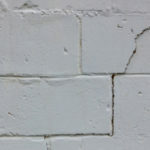 There are certain industry rules regarding the reinforcement of walls, such as walls in certain locations or walls that meet a certain height. 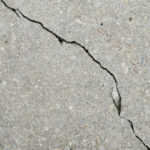 Without all of this background knowledge it’s easy to build a highly unstable wall that will encounter a number of potentially serious problems. Masonry professionals know exactly how to build a brick wall so that it can last for many generations to come. All in all, it cost money to hire a professional but it’s well worth the investment. How Much Does Brick Cost Compared To Other Materials? Brick is one of the most durable materials, and because of this many often overestimate how much a brick wall is going to cost. Thankfully, brick is not one of the most expensive materials. Vinyl and fiber cement tend to be cheaper than brick, but synthetic stucco, cultured and manufactured stone, as well as real stone are all considerably more expensive according to industry averages. Brick is worth every penny considering it is low maintenance, durable, and proven to last longer than almost any other building material on the market. In fact, when properly constructed your brick wall will likely outlive you! For all of your brick masonry needs, contact Turnbull Masonry!